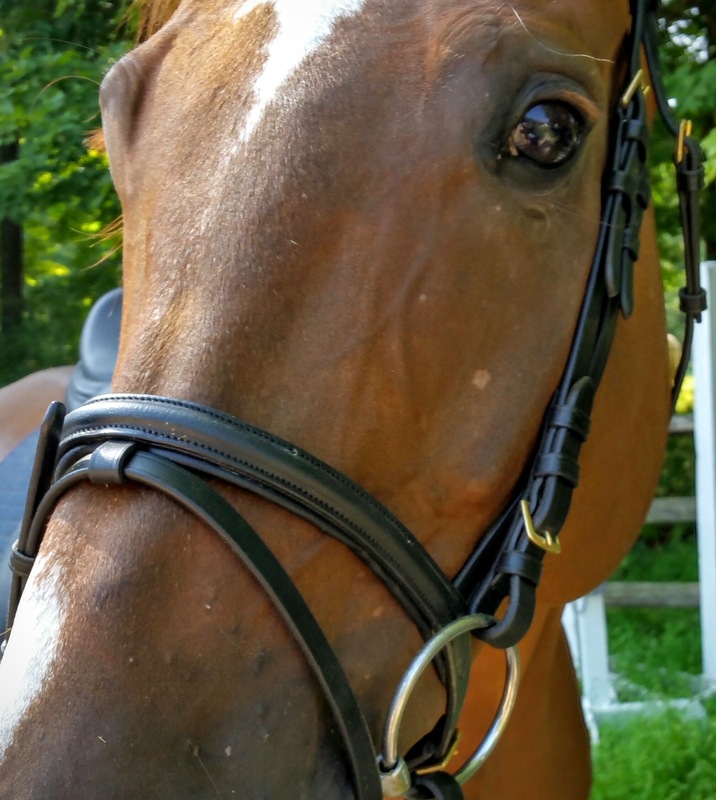 Behind the Bit: Get that look off your face! Get that look off your face! No one will be surprised at this article in The Guardian, "Horses can recognize human emotion, new study says." I'm certainly not surprised they can hear emotion in the human voice, but this article concludes that horses can read human expressions too. Given how horses' eyes are set on their head, and the role of their eyesight (which seems to favor middle to long distance), I am impressed. Dogs have been shown to look at angry human faces with the left eye: the reasoning is that the brain’s right hemisphere – where information from the left eye is recorded and interpreted - is specialized for dealing with scary or threatening stimuli. Sheep have been shown to recognize and be calmed by photographs of other sheep, and even to remember faces of sheep and humans." Harv and Riley are both people-oriented horses, and they're very human in how they interact with people. Harv was not really a naughty horse, but he could be impatient -- I often got what I call the "bad waitress" look when I was not fast enough with treats or was too slow in turning him out. Riley likes to nibble cross ties, and he knows he should not. He often starts to nibble while eyeing me for a reaction. I love studies like this, but they annoy Bob. He often scoffs at TV shows that marvel at the attachment behaviors of animals or their ingenuity. Humans, after all, have not cornered the market on intelligence. Hardly. Makes me wonder what my mare thinks of my resting b---h face?